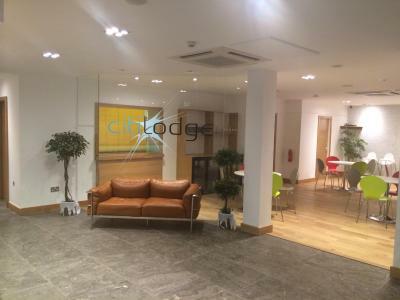 Lock in a great price for Citilodge Hotel by Roomsbooked - rated 8.5 by recent guests. Walking out the door, knowing id never have to return. Super friendly staff who offered me a free room upgrade upon arrival. The rooms were spotless and the hotel had an overall calm and pleasuring atmosphere. For the price, this hotel was incredible. It was clean and centrally located. 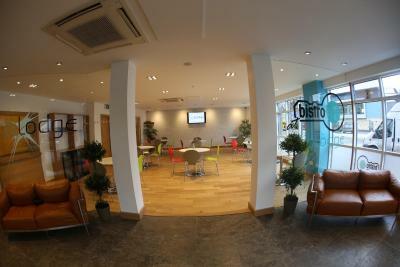 The staff were helpful and friendly. Upgraded. Bed was lovely and comfortable. Free parking. Central location. Will stay again. I went to Wakefield for my partner's birthday we booked and got up graded to a superia room the bed was absolutely massive. The provision of a car park at the door and it was central location for my it was also nice to have friendly helpful staff. One of our bestsellers in Wakefield! 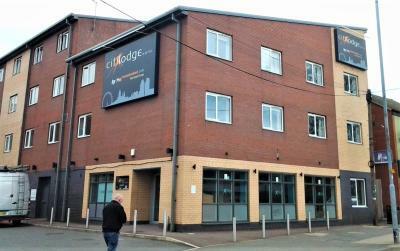 Located in Wakefield city centre, Citilodge contemporary hotel features a 24-hour front desk and is a minute's walk from the cathedral. 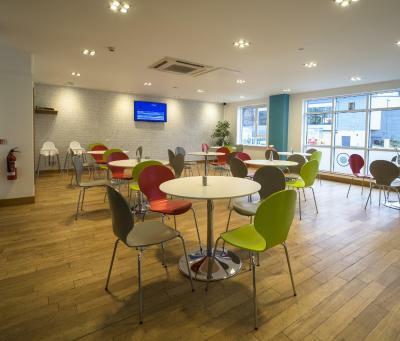 Trinity Walk Shopping Centre is just a 3-minute walk away. 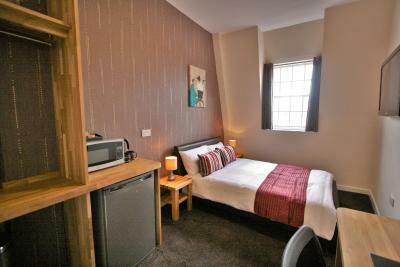 The guest rooms come with free WiFi, a 40-inch LCD TV and tea/coffee making facilities. They all have an en suite bathroom with bathtub or shower. The Superior rooms come with a full-size fridge and a microwave. The Theatre Royal Opera House is just 0.4 miles away and Hepworth Wakefield Art Gallery is 0.6 miles away. Sun lane Leisure Centre is located just across the street. Guests can also drive 8.1 miles to Leeds. This property is also rated for the best value in Wakefield! Guests are getting more for their money when compared to other properties in this city. 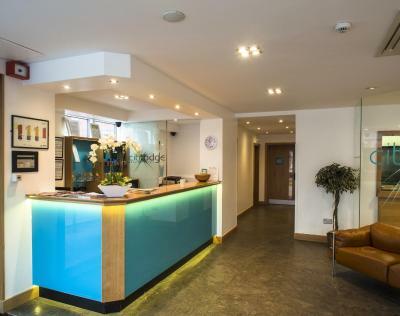 Citilodge Hotel by Roomsbooked has been welcoming Booking.com guests since 8 Nov 2013. 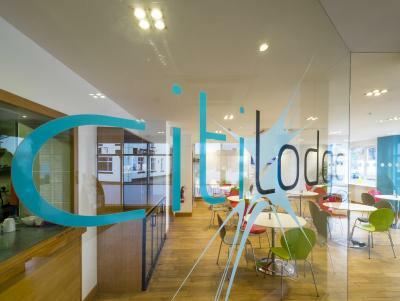 When would you like to stay at Citilodge Hotel by Roomsbooked? 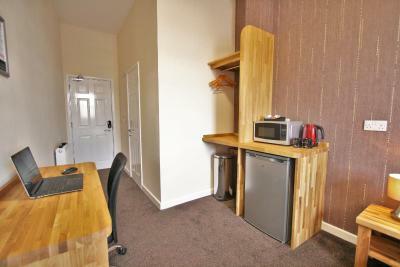 This double room features a electric kettle, a TV and an en suite bathroom. It also offers a king size bed. Rooms have a tea/coffee making facilities. There is an en-suite bathroom in every room with a power shower over a bath. 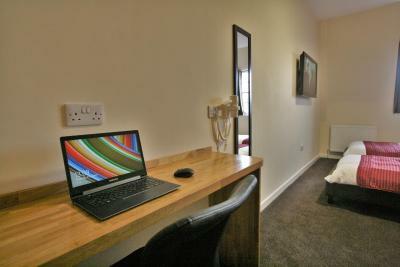 This room includes free WiFi, a wall-mounted 40-inch TV with Freeview channels and a full-size fridge and microwave. The standard bed setup is 2 single beds which can be made to form a double. Please request double at time of booking if required. Please note, bed preferences cannot be guaranteed if booking after 14:00 for a same-day arrival. House rules Citilodge Hotel by Roomsbooked takes special requests - add in the next step! Citilodge Hotel by Roomsbooked accepts these cards and reserves the right to temporarily hold an amount prior to arrival. Early check-in (extended to 12:00) or late check-out (extended to 13:00) available for a GBP 15 surcharge but must be booked in advance. Luggage storage is available on site but left at the owners' risk. 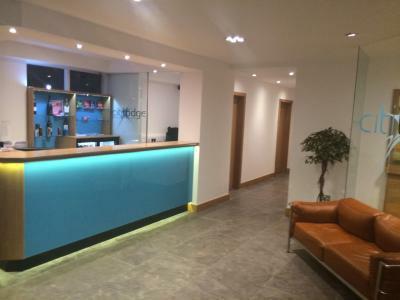 The hotel does not accept any responsibility of lost or stolen goods whilst on the premises. 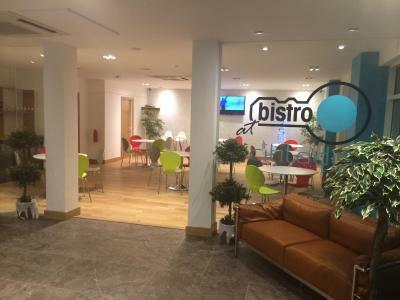 A security deposit of GBP 100 per room is required on arrival. This deposit is fully refundable upon check-out and subject to a damage inspection of the accommodation. The room smelled damp, zero amenities, bathroom had mold, pillows were stained bed requires replacing, wifi didn’t work in the rooms and was sketchy in the main area. We had to pay 10 more to check in early then checked out a day before we were supposed to with no compensation. Having to put £100 on my card first . Room like a hospital room, mattress, Leon burns on carpet, brown stains on ceiling ! The head boards could be a bit more secure and more than 2 teabags when you know a guest is there more than one night. Stayed here quite a few time, it’s convenient for the town and meeting my family and friends. 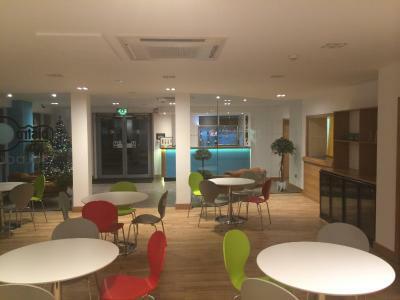 It’s always clean and the staff are friendly.